Wayne W. Whalen is involved in the firm’s corporate, financial and business practice. He has counseled, com­pleted transactions and litigated on behalf of business­es, boards of directors, financial institutions, utili­ties and governments. Mr. Whalen incorporated the first of the Van Kampen Investments Inc.’s mutual funds — the U.S. Government Fund — in 1983. He was responsible for the firm’s advice to the open-end and closed-end funds, which grew to include more than 90 equity funds, international and emerging market funds, tax-exempt bond funds, investment grade and high-yield bond funds, and money market funds. In 2010, a transaction was completed with Invesco concerning these funds. He is active in counseling and transactions relating to private equity funds, hedge funds and other investment entities as well as their managers and advisors. 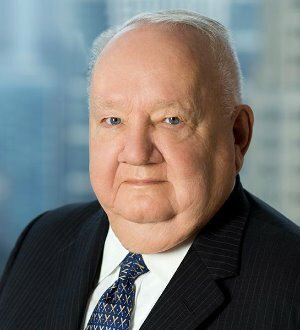 Mr. Whalen counseled Ispat Inland Inc. and its predecessor company, Inland Steel Indus­tries, Inc., on corporate, partnership, financing, bankruptcy and litigation matters as it divested, reorganized and rationalized its businesses, including its iron ore and coal properties, in Indiana, Minnesota, Michigan, Illinois, Virginia, Newfoundland and Quebec. He advised the University of Chicago concerning the control of the William Benton Foundation and the foun­dation’s subsequent sale of the Encyclopaedia Britannica, Inc. for the benefit of the university. Mr. Whalen advised CTS Corporation and a special commit­tee of its board of directors in connection with Dynamics Corpo­ration of America’s efforts to control CTS. This landmark contest for control involved the adoption of three shareholder rights plans, a hostile tender offer, a proxy contest and the extinguishment (under the Indiana Control Share Acquisitions Chapter) of voting rights of certain CTS common stock held by Dynamics. Mr. Whalen has litigated cases through many levels of the court system, including Cousins v. Wigoda, a First Amend­ment case in the United States Supreme Court; JMB Realty v. Sundstrand, which involved securities laws and a contest for control in the Seventh Circuit Court of Appeals; and Roanoke Agency v. Edgar, a case involving corporate cumulative voting in the Illinois Supreme Court. In federal and state courts, Mr. Whalen has tried commercial matters as well as corporate control issues, as inBTR v. Lioniel Trilling; corporate and utilities tax issues, as in CIPS v. Johnson; and banking issues, as in Continental Bank v. Lignoul. Mr. Whalen was an elected delegate and chairman of the drafting committee of the Constitutional Convention that wrote the Illinois Constitution of 1970. In a 1984 poll of lawyers by the Chicago Business Digest, he was named one of the 10 best corporate lawyers in the city. He has been selected for inclusion in The Best Lawyers in America and Crain’s Chicago’s Who’s Who, where he is one of 30 leaders (only two lawyers) who have been on the list for 20 years. Mr. Whalen is a member of The American Law Institute. He was one of four lawyer appointees by the Illinois Supreme Court to its Blue Ribbon Committee, which reviewed and recommended a detailed revision of the court’s procedures for supervising and disciplining Illinois lawyers. Mr. Whalen also is the board chair of the Abraham Lincoln Presidential Library Foundation and a member of the board of the Stevenson Center.